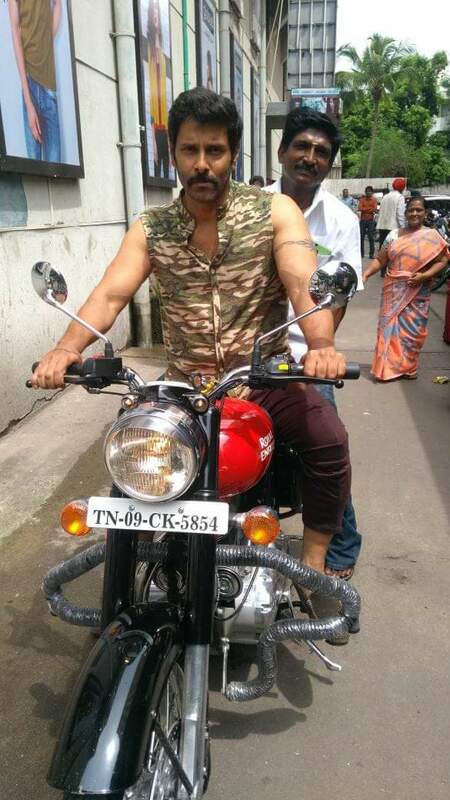 Vikram can be seen in a dashing avatar in these stills from Saamy Square. The stylish Vikram is arguably one of the most popular and dependable stars in the Tamil film industry today. He enjoys a strong fan following thanks to his raw looks, mature performances, impressive personality and of course that impressive range as an actor. Moreover, he has won hearts thanks to his simple and warm nature. Now, there is some exciting info for his fans. As it so happens, some stills from Saamy Square are creating a buzz on the social media for all the right reasons. 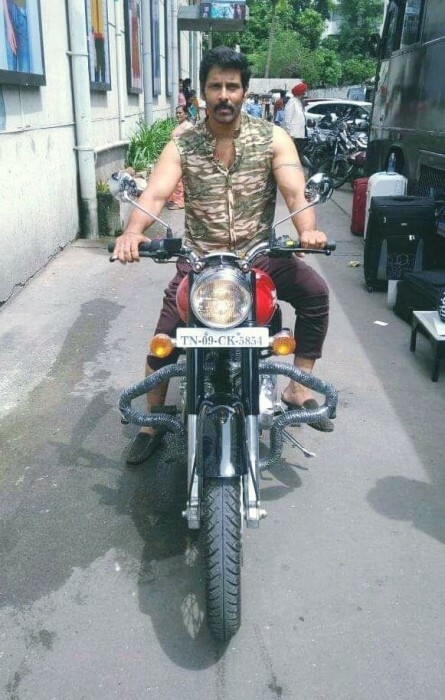 In them, Vikram can be seen in macho avatar as he rides a bike. His moustached look exudes machismo and proves that he hasn’t aged one bit. That is how you make an impact! In case you did not know, Saamy Square is touted to be an action-drama and is being directed by Hari. In this sequel to the 2003 release Saamy, Vikram will be seen opposite young actor Keerthy Suresh. Just like the first part, the sequel is expected to e quite action-packed. Interestingly, a while ago, Keerthy had said that working with Vikram is a dream come true for her. On a related note, this is a busy time for Vikram. Besides Saamy Square, he also has Dhruva Natchathiram in his kitty. It is as spy-thriller and has been directed by Gautham Menon. 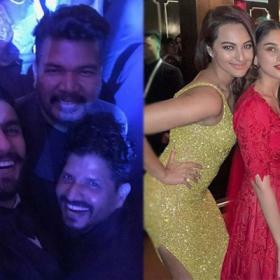 In it, he will be seen alongside Aishwarya Rajesh and the fast-rising Ritu Varma. 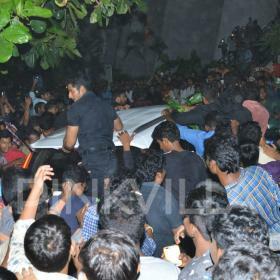 The film is expected to be an action-packed affair and will feature Vikram in a new avatar. So, did you like these stills from Saamy Square? Comments, please!